Experience the rich history of Long Beach, California through the extensive collection of artifacts and historical photos and postcards. The Long Beach Heritage Museum, founded in 1961, is home to the largest collection of historic Long Beach memorabilia in the city. Where is this wonderful museum? It’s out in the community. One by one, the artifacts are being taken from storage, carefully restored, and displayed in local businesses. Our Collections Room maintains a rich archive of Long Beach ephemera. Please support the Museum at one of our events. 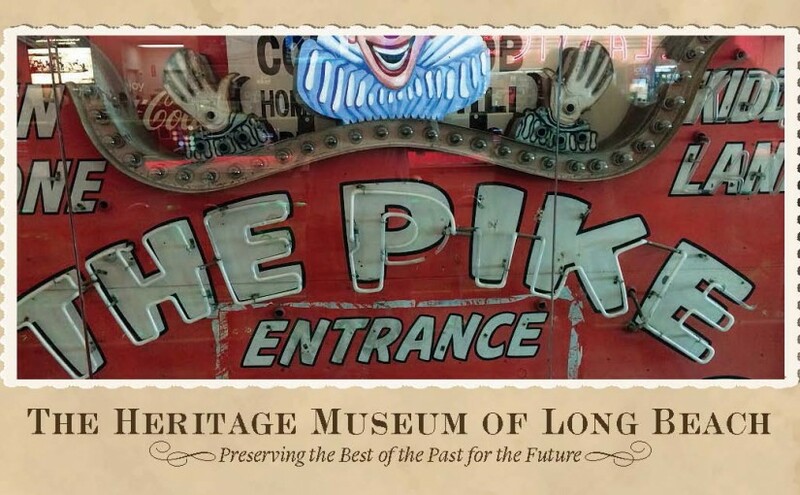 The mission of the Long Beach Heritage Museum is to promote awareness and be an educational resource of Long Beach History, through the preservation and exhibition of memorabilia and artifacts from the city’s historical past.